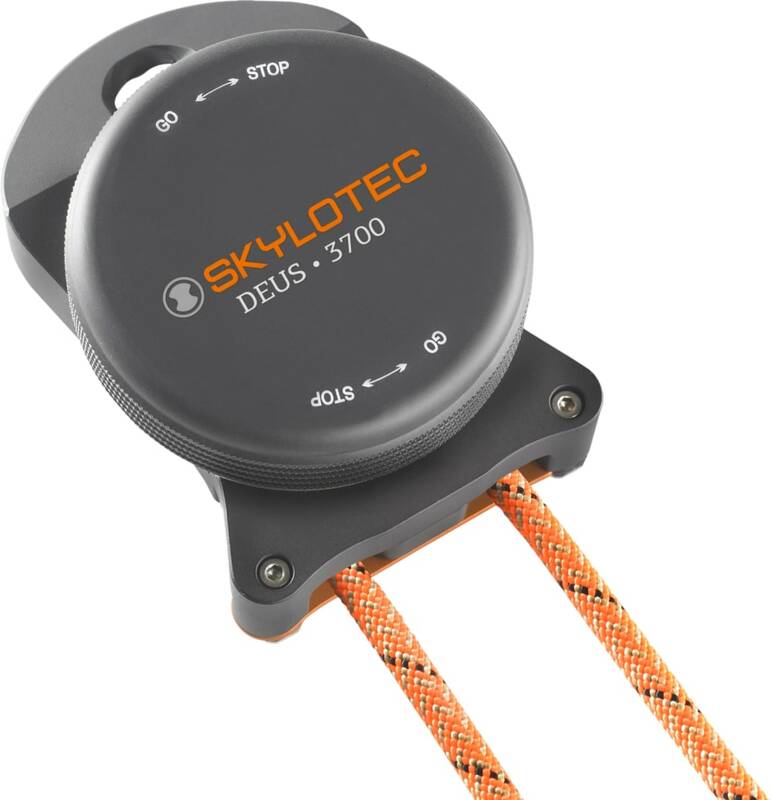 As a manufacturer of fall protection equipment, SKYLOTEC offers a wide range of products for the wind energy sector. The family-run company, which develops and manufactures its products in Germany, will be presenting comprehensive solutions – from harnesses to descent and rescue devices and rescue stretchers – at Offshore Wind Energy in London. At the world’s largest offshore trade fair, SKYLOTEC will also be focussing on rescue concepts and training courses. 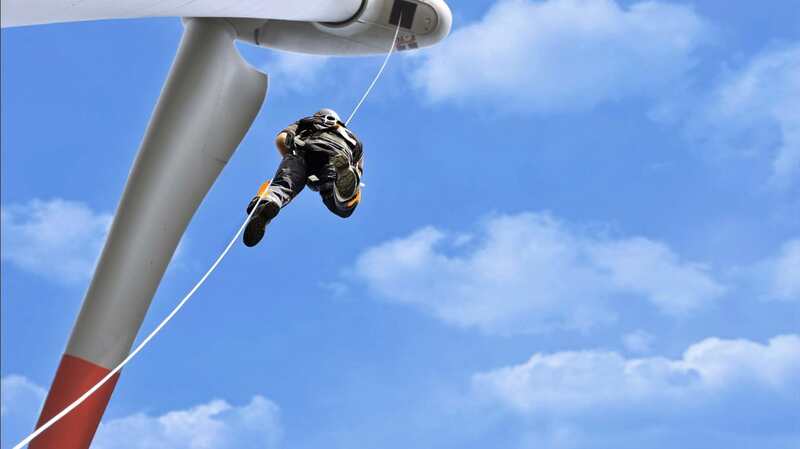 People working on wind turbines need more than just reliable fall protection. They must also be in a position to get themselves or their colleagues to safety quickly in the event of an emergency. Descent and rescue devices are therefore absolutely essential for this job. SKYLOTEC will be presenting solutions with various areas of application to visitors at the Offshore Wind Energy trade fair. In wind energy, the “Milan” has established itself as a standard device for rescuing injured people or for the rapid evacuation of several people. Centrifugally controlled brakes prevent free fall and allow safe, hands-free abseiling at a constant speed. Two users can be rescued from great heights at the same time using the “Milan”; the abseil distance can be up to 500 metres. An additional benefit is that the “Milan” can be stored in a sealed box on site so that it is close at hand in an emergency. The “Seal Pac” has an operating time of ten years and makes it easy to carry out the compulsory annual check. With the “Double Seal Pac”, SKYLOTEC has also responded to the trend for more and more people working simultaneously on increasingly large-scale wind turbines. This pack ensures that two rescue devices are available at the same time from a sealed box. 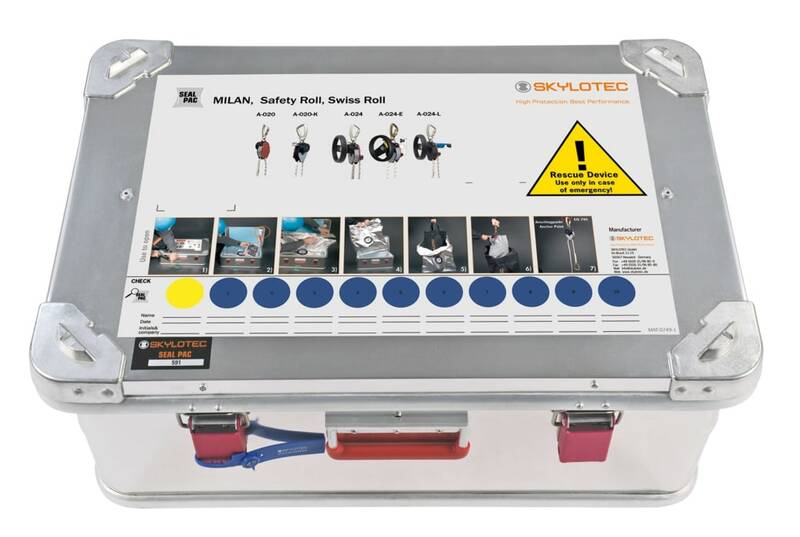 In London, SKYLOTEC will also be introducing small, lightweight rescue devices with a centrifugal brake, which can be worn on the body along with Personal Protective Equipment (PPE) against falls and are ready to use in an emergency. After all, in some situations it can be essential for workers to be able to rescue themselves without any help, for example in the event of a fire in the hub of a wind turbine. The “Deus 3700” is ideal as it has a fire-resistant rope and can therefore be used even in extreme situations. It works up to a height of 180 metres and the maximum load is 140 kilograms. Carrier systems for transporting injured persons round off the portfolio for this sector. Solutions such as a roll-up carrier system called the “ultraRoll stretcher” are particularly suitable for rescuing people from areas that are difficult to access. They protect the accident victim from further injury and also offer additional benefits, with a low weight and small pack size making them easy to transport. The stretcher can be quickly assembled on site in just a few steps. When it comes to rescue and self-evacuation, SKYLOTEC will not just be focussing on its products at the world’s largest offshore trade fair. After all, just having the right equipment is nowhere near enough. Statutory training courses and teaching are essential for people to learn how to handle PPE safely. Thanks to its Vertical Rescue College (VRC), the German manufacturer also offers a wide range of training programmes with experienced instructors, which fulfil all the requirements of the GWO. A special feature of these programmes is that they can also be carried out on site for the customer. This means that they can be adapted to suit the particular requirements of the situation in which the equipment is to be used. Personal Protective Equipment against falls with a perfect fit and straightforward to use will also be on show at the exhibition stand. 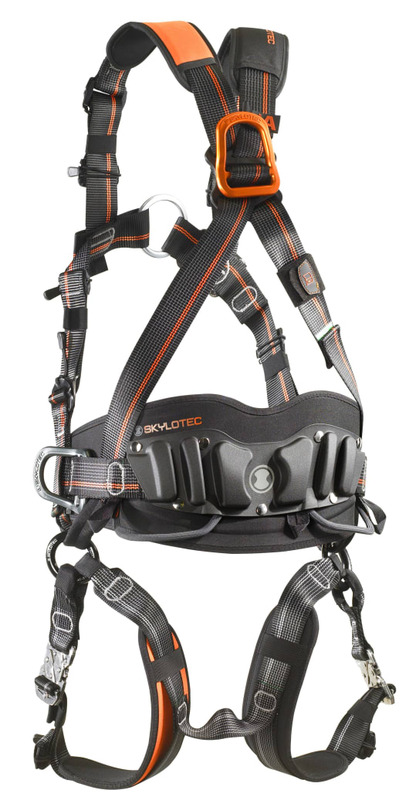 This includes the “Ignite Proton Wind” from the “Ignite Series” of harnesses, which is certified according to EN 361 and EN 358 and sets new standards with its many clever details in terms of ergonomics and design. Pre-shaped shoulder and leg pads and high-quality hip padding are ergonomically adjusted to the shape of the human anatomy. Not only does this prevent pressure points during wear, but it also relieves the spine because loads are perfectly distributed. For people wearing their harnesses for several hours, this is a real relief. Another detailed solution is – as for all models in the “Ignite Series” – a new adjuster. This adjuster stops the straps from unwanted loosening when users are on the move for a long time. This means that users no longer have to deal constantly with the problem of having to keep tightening the harness. The “Rescue Pro 2.0” harness, certified according to EN 361 and EN 813, is also suitable for people working in wind energy. This model has ergonomically shaped padding on the hips, legs and back, enhancing comfort even when working for long periods of time. Integrated loops for attaching a seating board do not restrict users as they carry out their work and allow them a better overview of their work area. This is because the seating board does not have to be attached directly to the front rope eyelet. The “Rescue Pro 2.0” is also just as impressive as the “Ignite Proton Wind” when it comes to functionality. Pre-shaped material loops and tool eyelets are fitted as standard on both models. If you would like to find out more about SKYLOTEC's product portfolio for wind energy, visit us at stand N-A27 at Offshore Wind Energy in London from 6 to 8 June. For more information, visit www.skylotec.com.